Finely mince garlic and parsley with a knife then add remaining ingredients and whisk well to combine. Pour marinade over steak and massage marinade into the meat. Refrigerate 30 minutes to 24 hours before using. 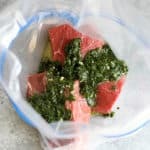 For longer storage, place marinated meat in the freezer. To thaw: Place meat in the fridge overnight or submerge sealed bag/container in a bowl of cool water. Change the water every 30 minutes until the meat is thawed. 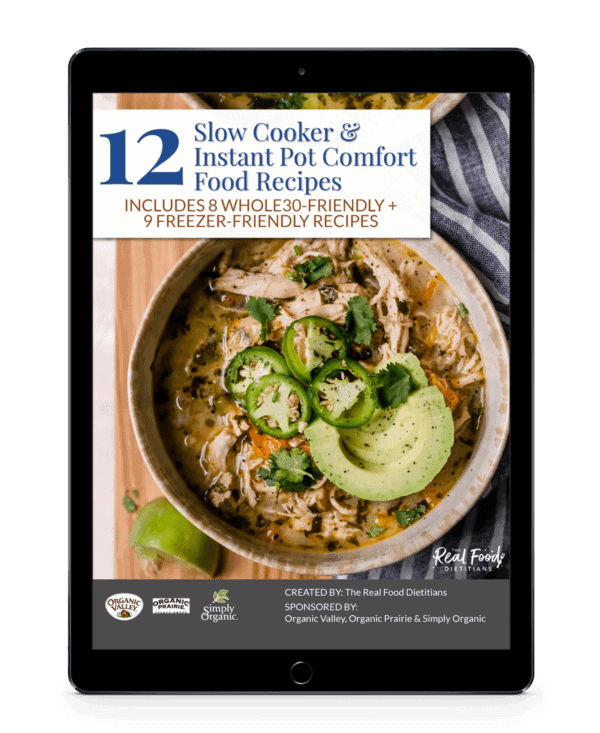 You may also place all ingredients in a food processor or blender and blend until almost smooth, stopping to scrape down the sides of the container as needed. *Save the stems in a bag in the freezer for the next time you make bone broth (just add them to the pot with the veggies and bones).